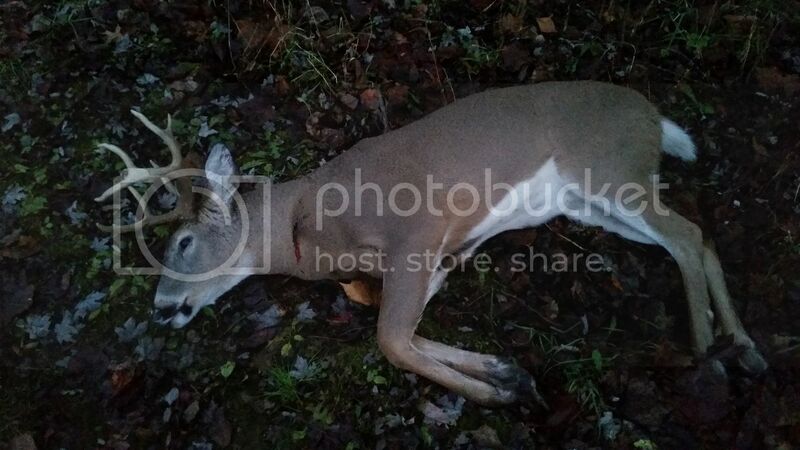 First day of firearms was unsuccessful for me but my son got a spike buck in the morning. Second day of firearms season in the morning I shot a yote with my 22mag. Seen a few does but was wanting to see what bucks were lurking around. Saturday evening I watched 2 bucks in a stare down for about 20 minutes before one left with a doe and the other came out to the edge of the field. That's where I gave him the good news with the 308. Where he was standing is where he was found. 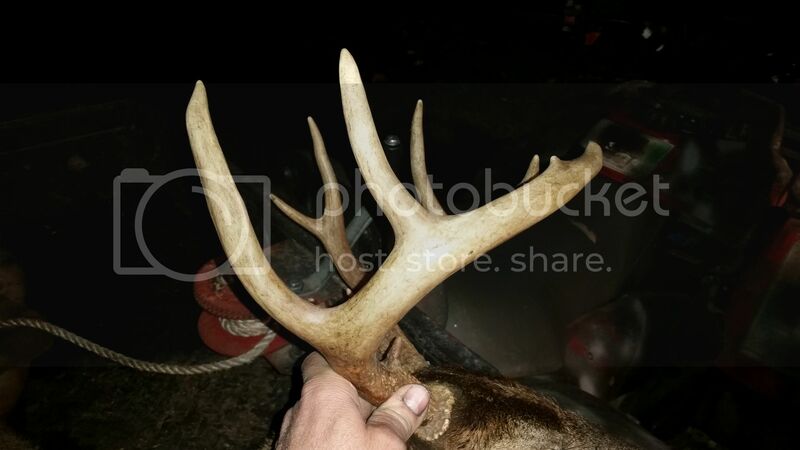 Nice big bodied 9 pointer. Kind of looks like half whitetail and half mule deer rack. Nice going. Cool rack. Looks like he was pretty heavy, did you happen to weigh him? Way to whack them yotes! The 22mag is such a great round. I love to see when they get the call to duty! No I should have, we even have a hanging scale but went right past it to the skinning area. Using the newer Hornady 22 mag ammo that I got from Scheels last year. What weight and bullet? I have shot everything from 30-50gr. The CCI tnt 30gr hollow points are awesome, as well as 30gr vmax. Too light for yotes tho. My favorite is CCI maxi mag 40gr hollow points. Work good for everything. They make the little cartridge act like a big gun. 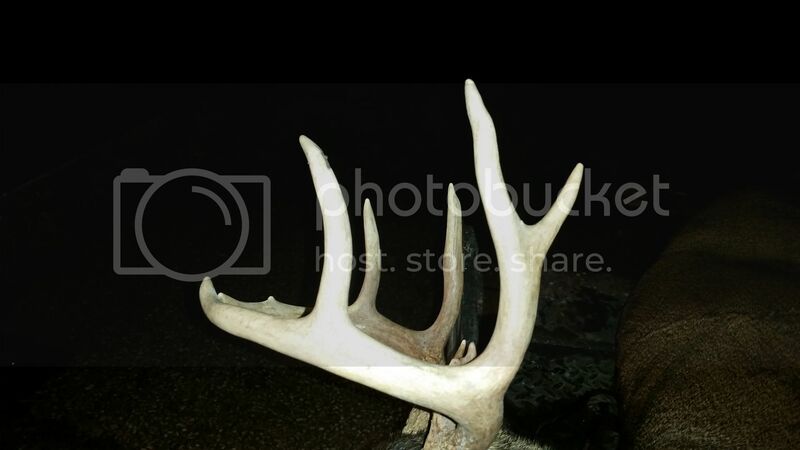 deadeer wrote: What weight and bullet? I have shot everything from 30-50gr. The CCI tnt 30gr hollow points are awesome, as well as 30gr vmax. Too light for yotes tho. My favorite is CCI maxi mag 40gr hollow points. Work good for everything. They make the little cartridge act like a big gun. Hornady 30 grn vmax is what i used, works just fine on yotes.